The California Coastal Commission approved a proposed Pismo Beach seawall Wednesday at its meeting in the city of Pismo Beach. City officials say that a seawall is necessary near Memory Park in Shell Beach at Seacliff Drive and Baker Avenue to protect against a possible sewage spill from a nearby pumping station. The commission, which rejected a similar project at the site in March 2011, voted 7-3 in favor of the proposed 147-foot-long seawall. Additionally, the commission voted 8-2 to require the city to provide a study on the seawall in five years. The city will have to report back to the commission on the possibility of relocating the St. Andrews Lift Station. An Army Corps of Engineers estimate determined the relocation would cost about $3.5 million, whereas the seawall will cost about $2.7 million to build. 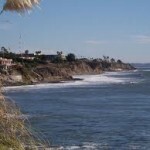 The Corps of Engineers will construct the project alongside the city of Pismo Beach. The seawall will prevent the collapse of a bluff in the case of a strong storm that could cause the St. Andrews Lift Station to spill sewage into the ocean. The Coastal Commission mandated that the seawall include a stairway to provide public access to the beach and native, drought-resistant landscaping. It also demanded wood railings to create more natural looking scenery and camouflaged drains that beachgoers cannot see. Likewise, the commission will require the city to return in 20 years when its permit expires to determine whether or not the seawall will remain in place. Construction on the project is expected to begin in 2014.